In the footsteps of Janko Šajatovic We know Krabat as a real person and as a character from the legend. Krabat’s real name was Janko Šajatovic. He was born in 1624 in the village of Jezernice, the same village my father Pero Šajatovic was born in. That is also how I found out about him. Krabat was born into an aristocratic Uskok family. He went to a Jesuit secondary school and then received further education in the prestigious Austrian city of Graz. He was fluent in six languages and extremely talented in all aspects. Researchers are still looking into it, but it appears that he also studied in Vienna. My good friend, a professional researcher of Krabats and a genealogist Hans-Jürgen Schröter, claims that one of Krabat’s classmates was none other than the Croatian Ban Petar Zrinski. Ban Petar Zrinski was personally appointed by the Emperor in Vienna as the supervisor of all the Uskoks of the Military frontier. Hence the Uskoks, led by Ban Zrinski, served the Emperor directly. No other king, count or feudal lord had power over the Uskoks. To be an Uskok was a position of great responsibility and honour. I am not sure that people are aware of that today. In 1660 the Elector of Dresden Johann Georg II urged Zrinski to send him sixty of his elite soldiers. The prerequisite was that they have an aristocratic title or other merits, are at least 1,75 m tall and educated. Krabat ticked all the boxes. He was 180 cm tall, he most likely fought the protestant invaders in the area of today’s Czech Republic and Poland alongside his father in the Thirty Years’ War and he was a decorated veteran of many battles, both at home and as far away as Slunj in Croatia. This is evident from several original documents found in national archives of different countries. The Von Schadowitz agency brought together project partners, who browsed through archives in Budapest, Ljubljana, Zagreb, Vienna, Tübingen and Dresden, and acquired a summary of certain very important sources for the development of its own innovative tourist products, based on true facts about Uskoks and the myth of Krabat. Fact: Johann Georg II managed to procure excellent soldiers and an extraordinary man to his court. Many feudal lords were envious of him. Elegantly dressed, tall and refined Krabats were the pride of their overlords, true images of an elite master. 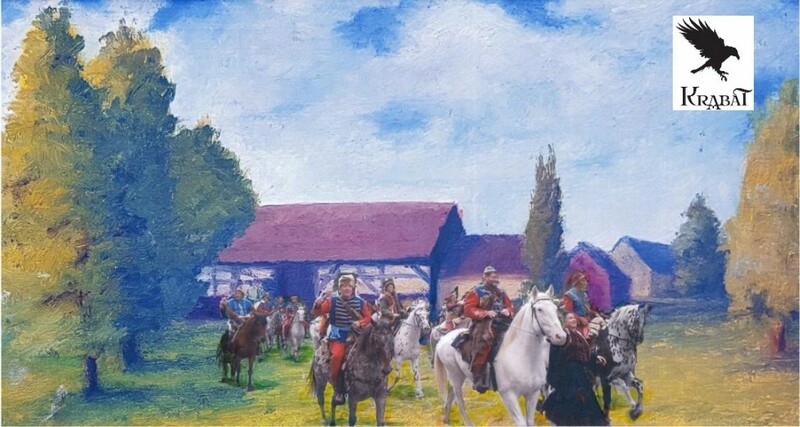 In 1691 Krabat also fought in Tübingen alongside Johann Georg III against the French and continued to train the cavalrymen of Lusatia in years to come. He saved lives of two German princes. He rescued one of them from imprisonment, after he was captured by the Turks and taken to a Turkish camp. The prince rewarded him greatly for this feat and trusted him with his land in the German part of Lusatia. Krabat ruled over this vast land for many years. Today this land has become what is known as the Krabat tourist region, its size is almost equal to that of entire Lower Carniola. The region quickly became of the most important ones in this part of Europe and Janko Šajatovic became the Prince’s chief counsellor. Several historical sources attest to the fact, that the Elector of Saxony, Augustus the Strong, became the elected King of Poland precisely because he listened to his advice. In the 17. and 18. centuries people rarely lived more than 45 years. Especially if they spent half of their life on deadly battlefields, which claimed countless victims. Janko Šajatovic lived for 80 full years. He was in service of the Electors of Saxony practically until the end of his life. He served under four Electors, under Johann Georg II, Johann Georg III, Johann Georg IV and under the grandson of Augustus the Strong. After the death of Elector Johann Georg III in 1691 in the Battle of Tübingen he asked to be retired, but he was soon after reinstated to his former position, because his successor was significantly less competent. He destroyed more than he built and he was not supported by his people. Krabat, Janko Šajatovic or Johann von Schadowitz served faithfully, working together with his people, until the end of his days. He was allowed to retire almost at the age of 78, only two years prior to his death. We can now understand, why there is so much talk about his heroic deeds. Can you tell us something about his personality? He was brave. After he was done fighting the Ottomans he moved on to Protestants, which were no less dangerous. I personally consider him to be a hero, because he found the way to transform himself from a fearsome warrior into a kind person that is celebrated to this day. Despite his initial struggles he went on to become a folk hero among Protestants and Catholics alike. He refused to live in an opulent mansion of the Electors of Dresden and instead resided in a modest house in the countryside. He advised the great and wealthy town rulers and helped the poor village folk in the countryside. He shared his earnings with the poor. He was a mentor to talented young people, he renovated churches, built houses and created workplaces. He would be giving out loans with a low interest rate to craftsmen and wealthy farmers so that they could invest and develop. There is plenty of evidence to this. He stayed faithful to his homeland. He remained a Krabat of the Military frontier, a true Uskok and a cavalryman of Petar Zrinski. He shared his potential and went down in history books as the most prominent Uskok of all times. With kindness and knowledge! Is this the reason people liked him so much? Lusatian Sorbs, the local minority, proclaimed him as the protector of their nation. Yes, it was definitely the national minority of Lusatian Sorbs that felt his resourcefulness and kindness the most. They were not accepted by the Germans, even though they have lived for centuries in the area under Dresden rule, near the Polish-Czech border. 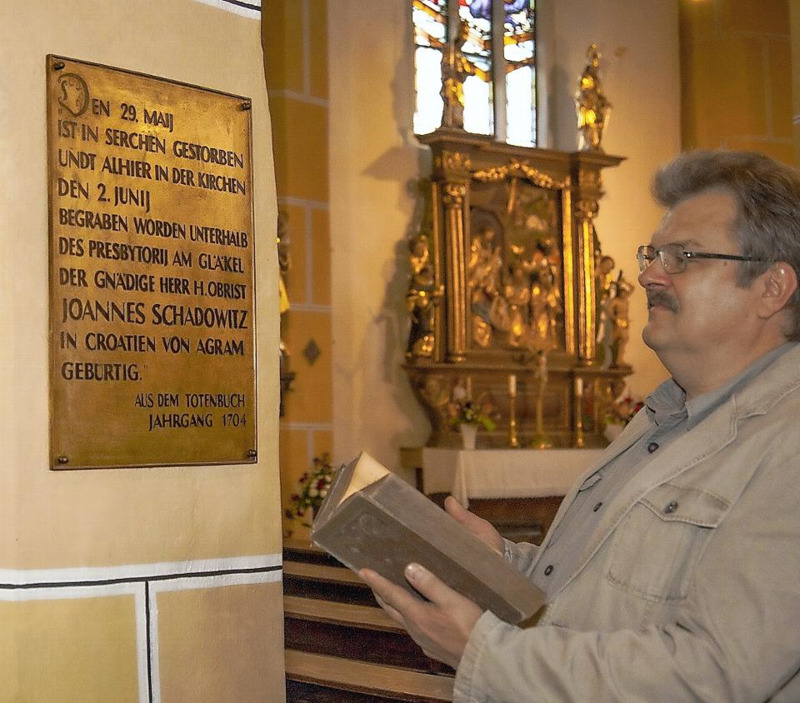 Lusatian Sorbs are Protestants and Catholics. They have their own language that is similar to Polish with a hint of Slovak and German accents. As Slavs, they have their unique way of celebrating religious and other holidays. They were also distinguishable by their clothing and customs. Germans did not always appreciate that. The pressure from all sides hindered their progress, they were instead driven into growing poverty, disarray and hatred. Many moved away, while others germanized their last names in order to be left in peace. 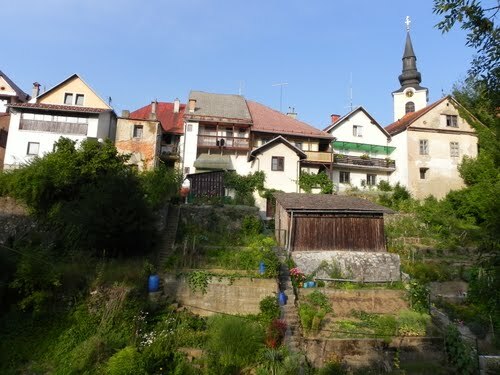 Their situation can be compared to Greek Catholics in Žumberak. They are Uskoks who celebrate holidays according to the Julian calendar like Orthodox Christians and are in consequence not accepted by many Catholics. Ignorance regarding Uniats or Greek Catholics is the sole cause for all speculation about who they are, what they are and where they come from. Ignorance is the humanity’s biggest flaw. Janko Šajatovic, Johann von Schadowitz or Krabat, as he was affectionately called, did the most for Lusatian Sorbs. He understood their problems and their language, so he functioned as a bridge between them and the Germans. He won over the Lusatian Protestants and Catholics to his side. The Elector knew how to appreciate this. He became more generous and started offering privileges. As Krabat achieved progress and excellent results, the questions about his origin and religion were no longer asked. He helped everyone, his people and his overlords, and everyone embraced him as one of their own. Lusatian Sorbs refer to him to this day as the protector of the Sorbian nation and the king of Lusatian hearts. Tell us a few words about Krabat as the popular literary hero. The author of the popular book is Otfried Preussler. The book was the basis for a film, shot by the 20th Century Fox film studio in Hollywood. The novel Krabat has been a part of the required reading list in almost all German schools for decades. You would be hard pushed to find a German child who does not know about the legend of the Lusatian wizard Krabat. The protagonist of the novel is a boy who fled from enemy forces with his mother and took refuge in Lusatia. Driven by insufferable poverty and hunger he went to serve an evil black miller, who dabbled in magic. As exceptionally honest as he was, the young Krabat started to develop a feeling of guilt when he discovered how evil the miller really was, and refused to help him. The miller punished him by transforming him into a black raven. Krabat secretly sat in his bird form by the window, as the miller would read spells from his magic book the „Koraktor“. He sought to find a way to stop the horrifying miller and take his powers. When his mother learned that her son was transformed into a raven, she begged the miller to transform him back into a boy and in turn promised to serve the miller until the end of her days. The black miller laughed loudly and pointed to a tree with many ravens. With derision he said: “If you can guess, which one of these birds is your Krabat, I will give you your son back.” The mother watched carefully and saw one of the birds fold its wings and point its beak to its heart. She knew at once that it was a sign and pointed her finger at it. She yelled: “That’s him! He crossed his wings and showed that he wants to hug me. He pointed his beak at his heart, because he wants to say that he loves me.” Sunlight appeared all of a sudden around the bird, it began to transform back into a boy, but before he was fully transformed he grabbed the magic book “Koraktor” mid-flight and threw it into a lake. Thus the black miller lost all of his powers. The moral of the novel is that good always conquers evil. Magical things happen, when your heart is filled with love for your fellow man. He proved that kindness lives forever. He believed in himself and laboured faithfully. He would rather pray and thank God. He visited the church three times a week. Many documents attest to that. He did not wait for some lord to help him, he worked. And the people followed him. We all like to follow successful people. It is no different today. Stories about him were carried on from one generation to another and thus people began to attribute him with supernatural abilities. Many tales, novels and other works of literature are based on them. Krabat became a legend. One of the novels has become a true literary hit. The myth of Krabat Myths offer unique insight into the human character and serve as a source of imagination or comfort, when human beings are faced with obvious contradictions. The myth of Krabat is a captivating tale set in the mountain range of Gorjanci or Žumberak and on the banks of Kolpa or Kupa river. The myth was introduced to our region by Monika Bracika, nee Šajatovic. The legend, especially the popular book about Krabat, is very well known in Europe. 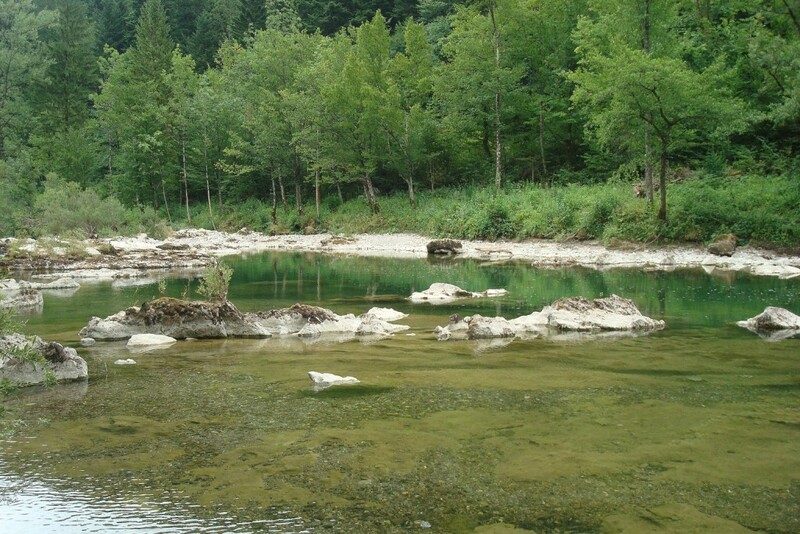 THE NAME KRABAT means Croat, but we must take into account that all Uskoks from the area of today’s Slovenia (Lower Carniola and especially White Carniola) were also called Krabats. We are not talking exclusively of Croats, but rather of a military regiment of the Military frontier that was referred to by the Germans as „Krabats“. The best description of the name would be "southerners". KRABATS The title ‘Krabats’ was worn by the solders of the regiment, who fought as cavalrymen for Christianity and the protection of the Habsburg monarchy; ‘Krabat’ in singular stands for Janko Šajatovic or von Schadowitz as well as the character from the novel. THE NOVEL KRABAT Krabat is a synonym for something special and good; even though the story is interlaced with dark magic, creepy birds and evil millers, the message is that good always conquers evil. MYTH The legend, the myth and the popular book Krabat are well known across Europe. In Slovenia it was unknown until recently that the myth of Krabat is a legacy of a true person, who had done so much good that people started to attribute him with supernatural powers. THE NOVEL KRABAT IN SLOVENE The publishing house Mladinska knjiga published a translation of the Otfried Preussler’s novel in 1979. Despite favourable reviews the novel remained largely unknown. People were unaware of the fact that it was about a real person who spent his youth in our lands and wandered around the towns of Crnomelj, Vinica, Otocec and Ljubljana. THE METLIKA CASTLE Home to the Museum of White Carniola The Metlika Castle, home to the Museum of White Carniola, connects three town squares in the heart of Metlika. The first mention of the castle dates back to 1456. During Turkish invasions in the 15. and 16. century the castle played a crucial defensive role. For a period of time it was owned by the Frankopan family and later by the cathedral chapter of Zagreb. In the 18. century its ownership changed several times and it was also set in flames twice. After the fire it was thoroughly renovated by an innkeeper from Ljubljana named Jožef Savinšek. It has been home to the Museum of White Carniola since 1951. 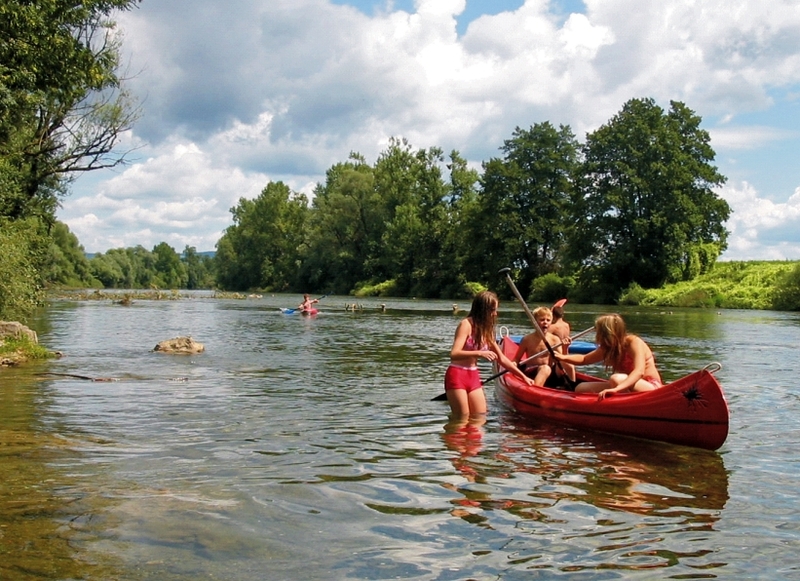 The museum is a particularly interesting destination for a landscape that stretches from Kolpa river to the Uskoks hills and is geographically, scientifically, ethnically and culturologically so special. This land has been marked by various historical events. The Museum of White Carniola is one of the most important partners in the Land of Uskoks project, therefore we are including it in our first issue of the Krabat Svet magazine. 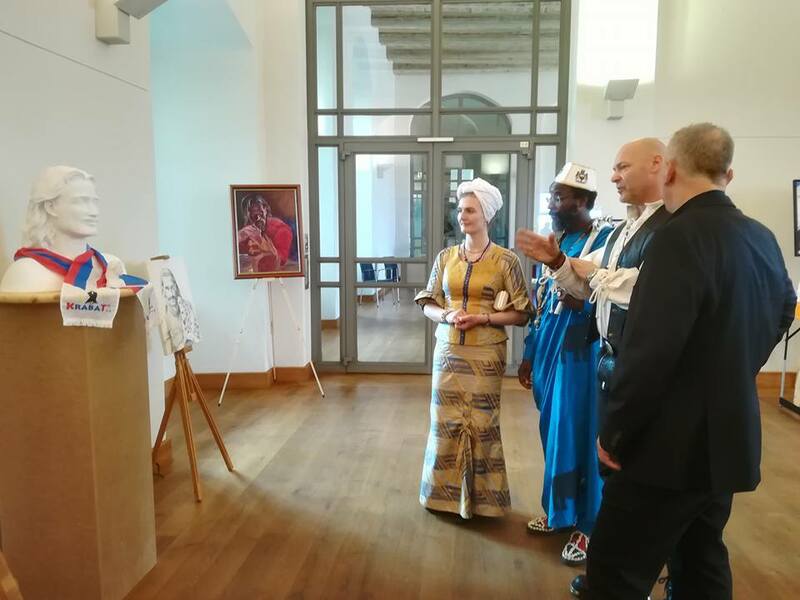 The Von Schadowitz project team has coordinated a remarkable exhibition and included the Museum of White Carniola in the museum project with various exhibits. Among the most noticeable are definitely the female national costumes from Žumberak. What does the Land of Uskoks stand for? Johann Von Schadowitz je v enem izmed turških vpadov pred Dunajem rešil življenje knezu Johannu Georgu III. Iz turškega ujetnišva je rešil tudi Avgusta Močnega, kateremu je kasneje tudi tako dobro svetoval, da je ta postal kralj Poljske. Zato ni nič nenavadnega, da je dobil velikodušno kraljevsko darilo. In sicer eno celo območje in ljubkovalno ime Krabat. Danes to ni le območje, ki je bilo nekdaj Šajatovićevo oz. Von Schadowitzevo gospodarstvo, temveč mnogo več. Nemci so celotno regijo poimenovali po Krabatu. Neprecenljiva izkušnja in toliko doživetij, da se bom zagotovo še vrnil sem. George: Najbolj všeč mi je bilo, da smo poleg krajev, kjer je nekoč živel Krabat, lahko začutili tudi navade tukajšnjih prebivalcev, poskusili njihove jedi, vino in spoznali njihove navade in običaje. Neprecenljiva izkušnja in toliko doživetij, da se bom zagotovo še vrnil sem. Monika: Vedno sem si želela videti, od kod izhaja Krabat, veliki uskoški junak. Kraji, ki smo jih obiskali, še danes navdihujejo s svojo mogočno in skrivnostno lepoto. Če je Krabat v mladih letih jezdil tod naokrog, potem je jasno, od kje mu takšna moč in plemenitost. Elza: Potovanje po deželi Uskokov je bilo zame edinstveno doživetje. Sredi neokrnjene narave smo začutili moč in lepoto, ki je že davno prevevala tukajšnje prebivalce, vključno s Krabatom. Spoznala sem, da njegova moč in plemenitost izhajata iz spoštovanja do življenja v različnih okoliščinah. Žumberak je Uskoško gorje ob meji. Do njega lahko pridemo iz Novega meste, Šenterneja, Kostanjevice, Brežic, Brezovice ali tudi Radovice v Beli krajini. V njem se je v obdobju od 1530. do 1720. leta naseljevali Uskoki. Prvi val Uskokov so bili vojaki pravoslavne vere iz Srbije. Ti so se iz Žumberka že kmalu po naselitvi, večinama grko-in rimo katoliškega Žumberka naselili ob reki Kolpi v občini Črnomelj. V 17. stoletju je na območje pripeljal kapetan Ivan Lenković Senjske Uskoke. Nekaj potomkov senjskih Uskokov še danes živi v Žumberku. Ivan Lenković sam pa odšel služiti na grad Otočec in je zato zakopan v Novem mestu. O Uskokih iz Senja je najbolj poznana knjiga nobelvca Avgusta Šenoa z nazivom: Čuvaj se Senjske ruke. Zumberak se danes razpostira na 333qkm. V njem raste več kot 350 vrst gob. Divje orhideje ali druge zaščitene rastline in zelišča niso popolnoma nič nenavadnega. V tem prečudovitem pragozdnem območju naletimo na neokrnjeno naravo, kjer človeška roka že stoletja ni naredila škode. Območje je varovano.